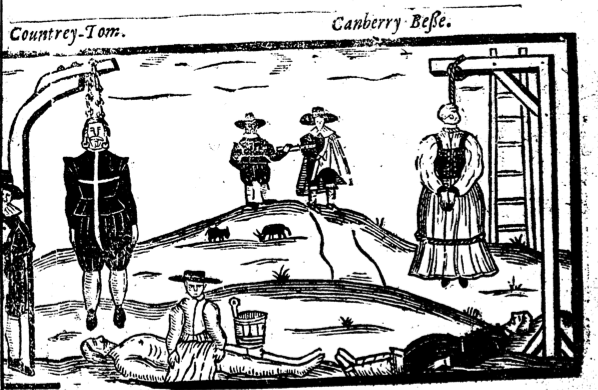 Standard sheet about a horrible murder and execution from 1640, but I like the costume details. Nice bodice on the woman in the foreground, possibly fastened with hooks & eyes. I also suspect that the poor woman on the right has been hanged in her smock and stays. What do you think?